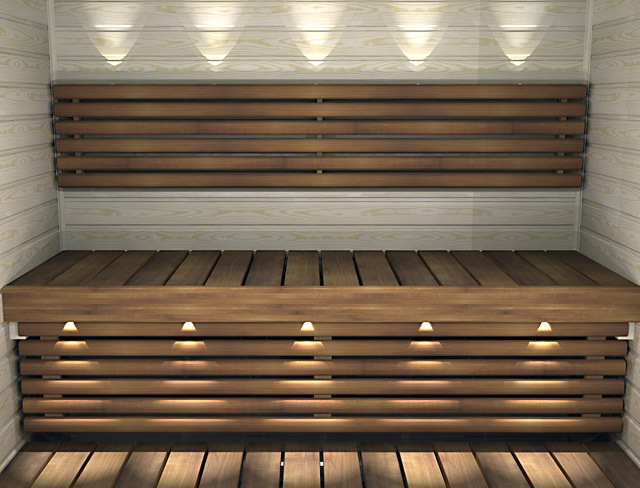 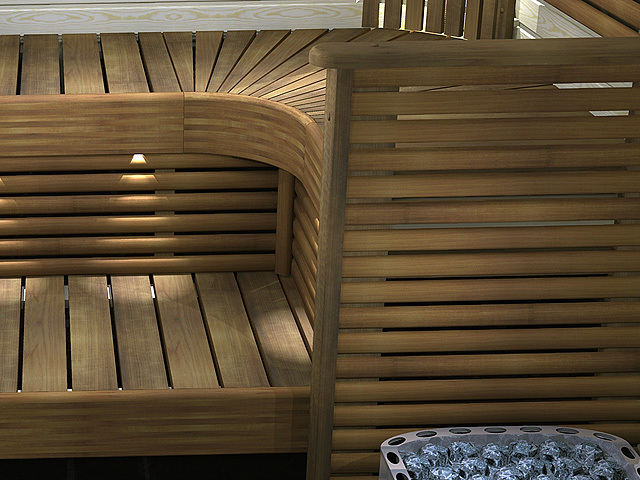 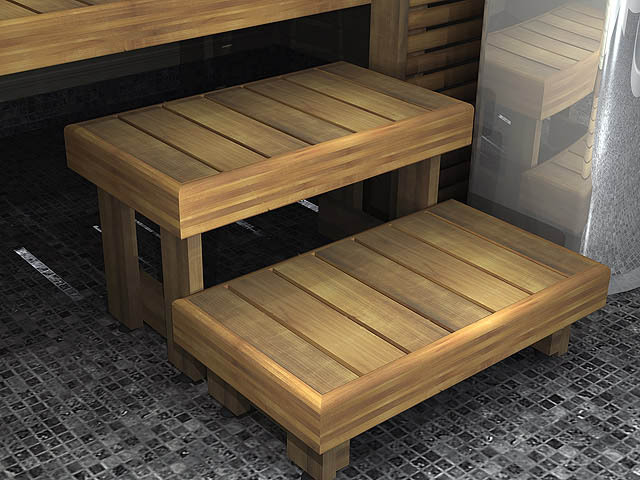 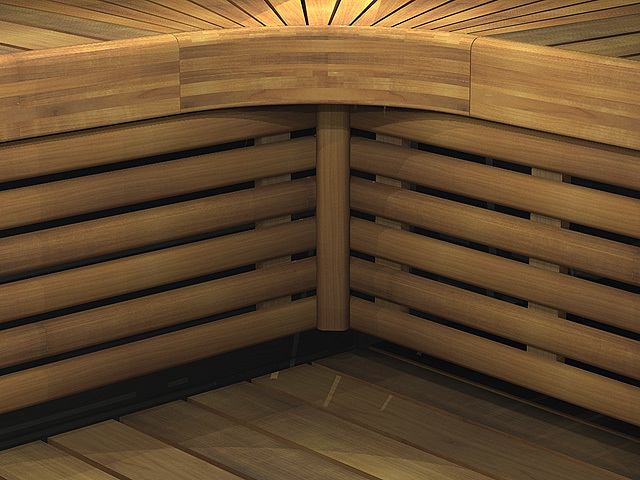 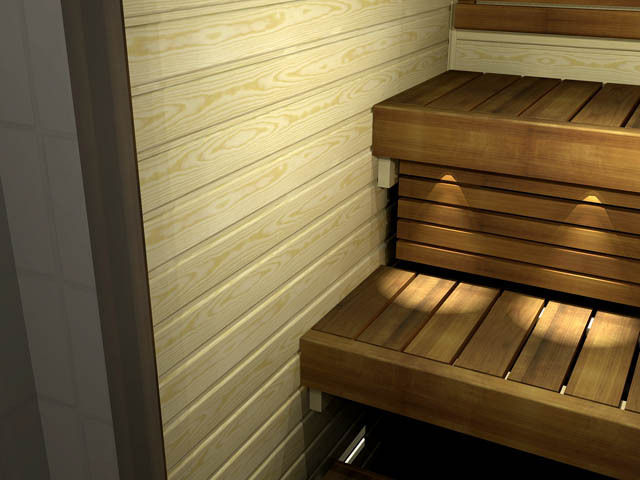 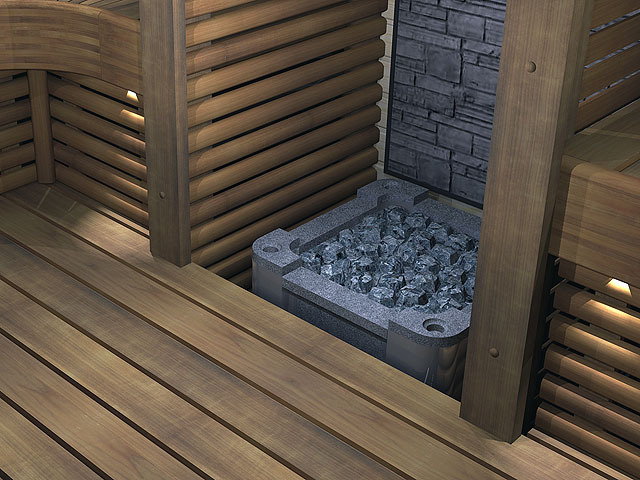 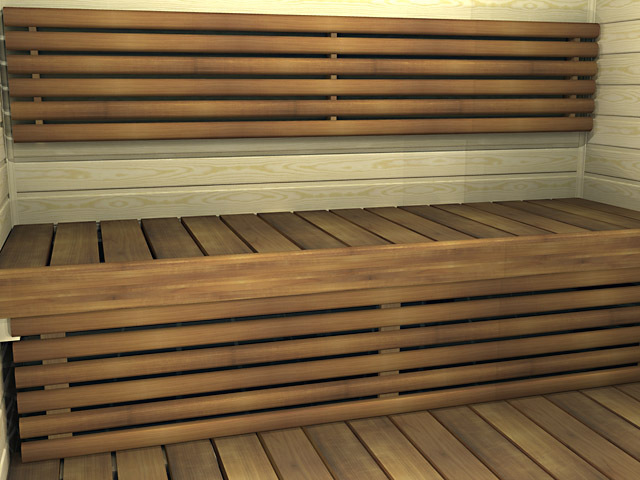 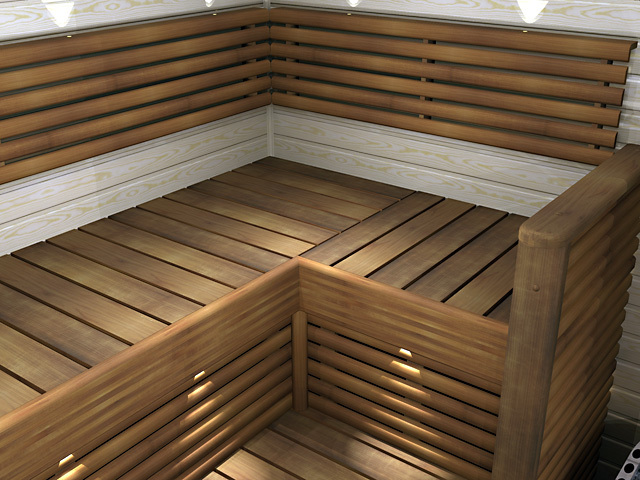 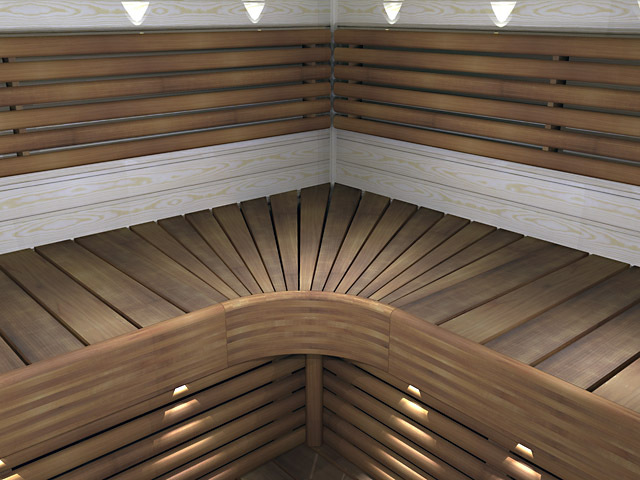 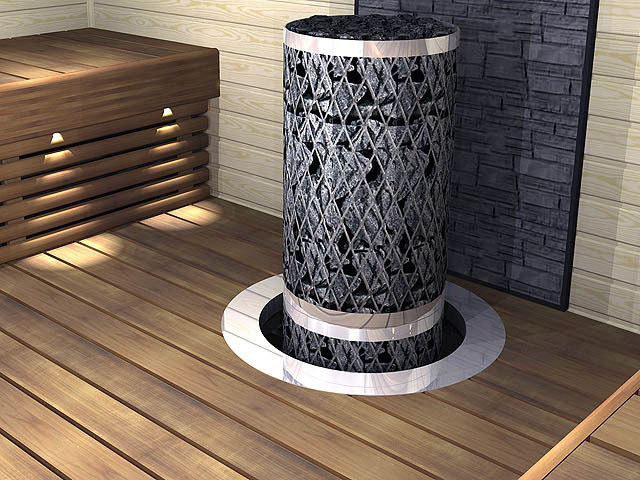 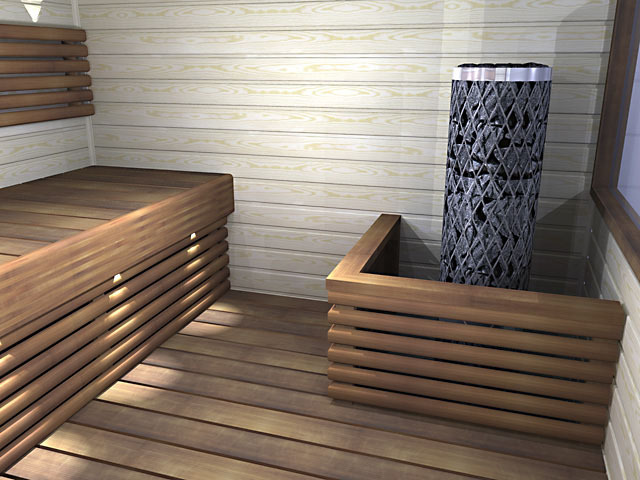 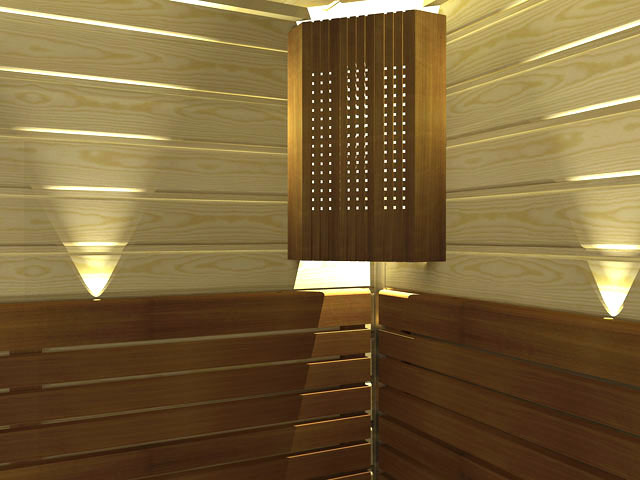 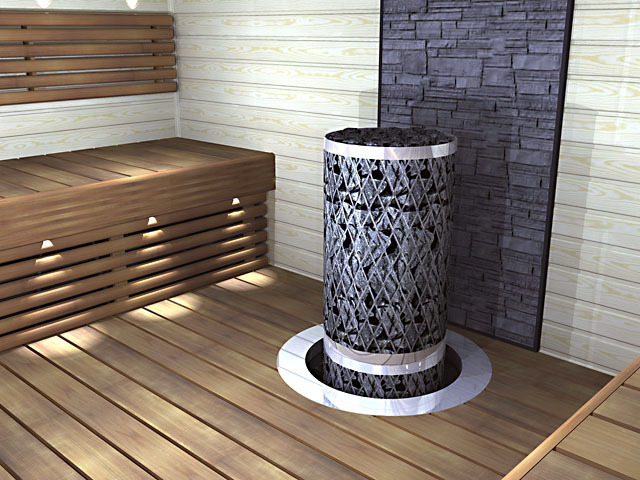 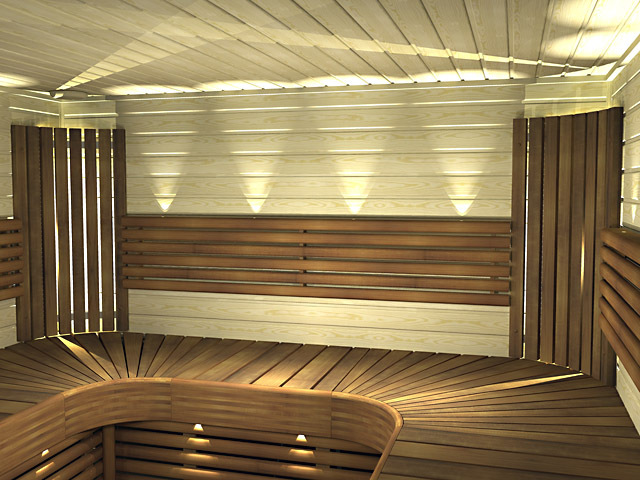 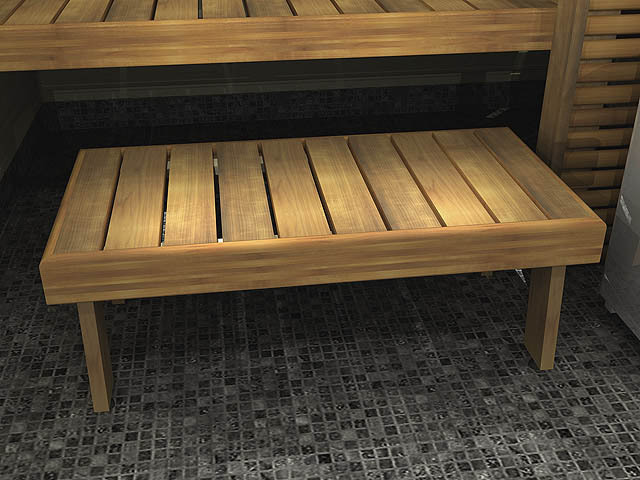 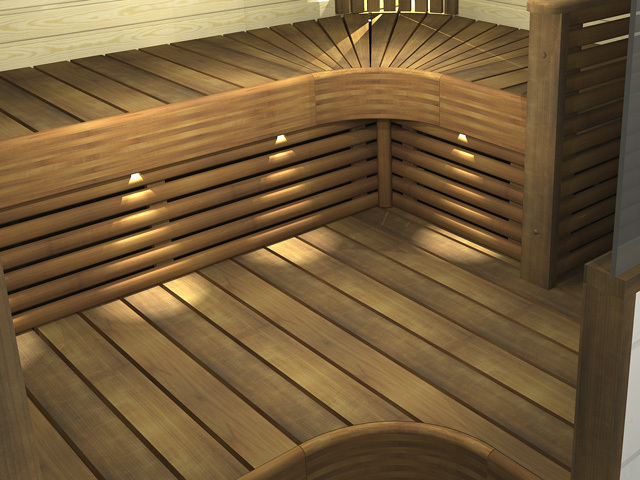 The Northern Lights Sento F2 sauna benches, and the sauna interior, delight with their balanced harmony. 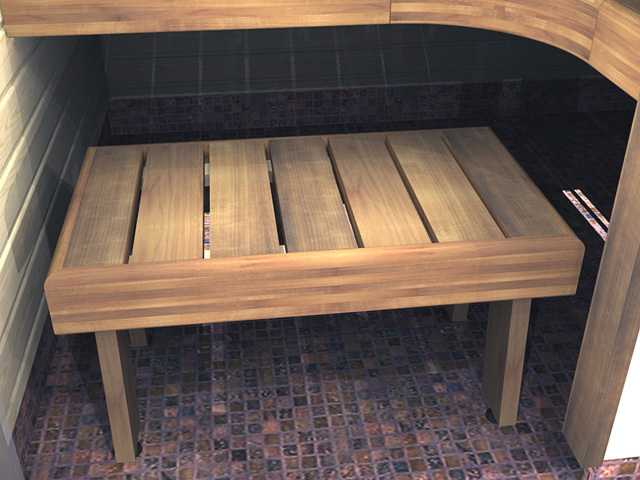 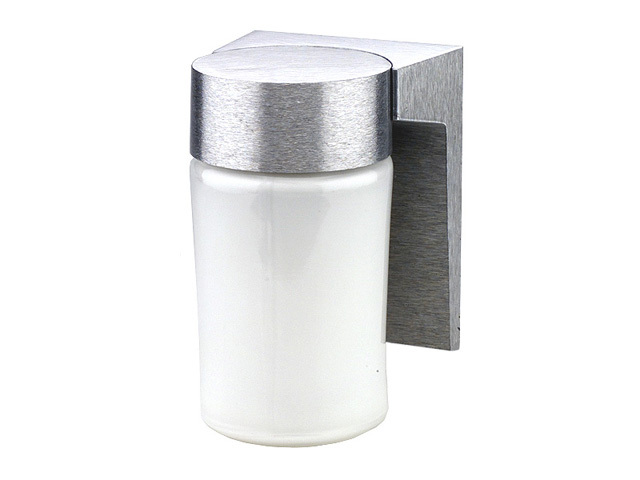 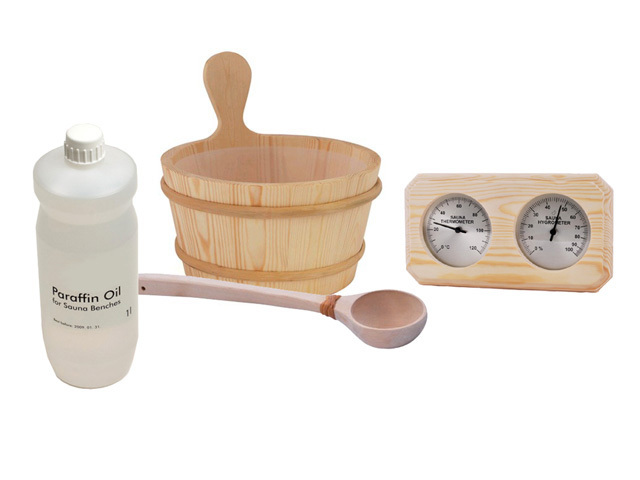 There is a strong Chi, a power of life, and the Feng Shui is very relaxing. 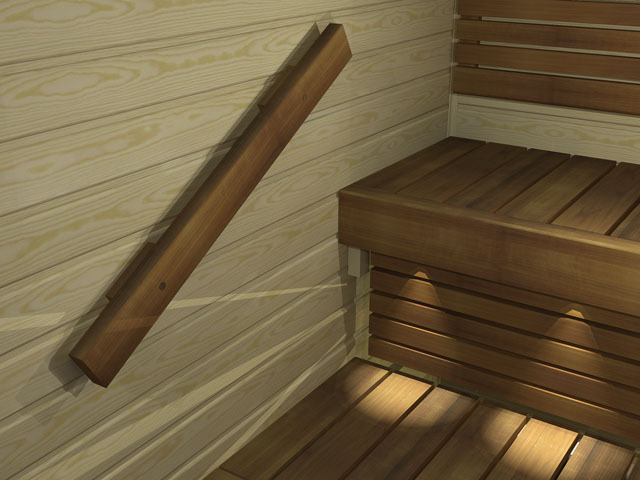 The passage to the sauna benches is easy, the heater is well placed in a naturally visible place, but still protected from the bathers. 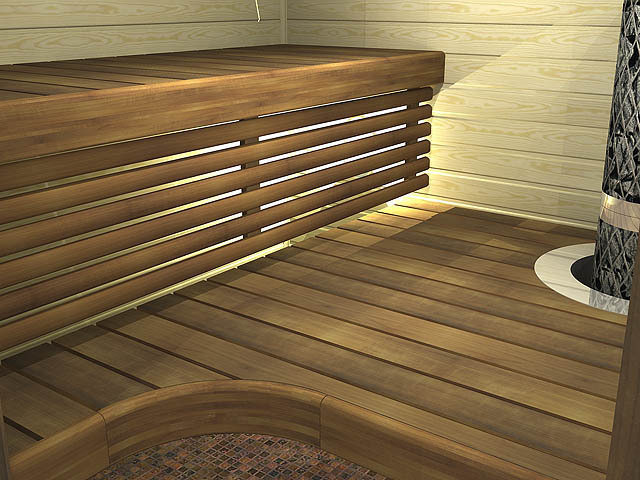 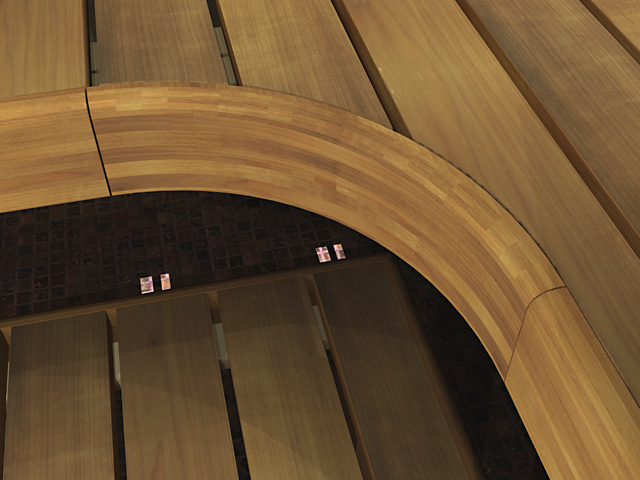 The bench design promotes relaxation and harmony among the bathers, giving each person their space. 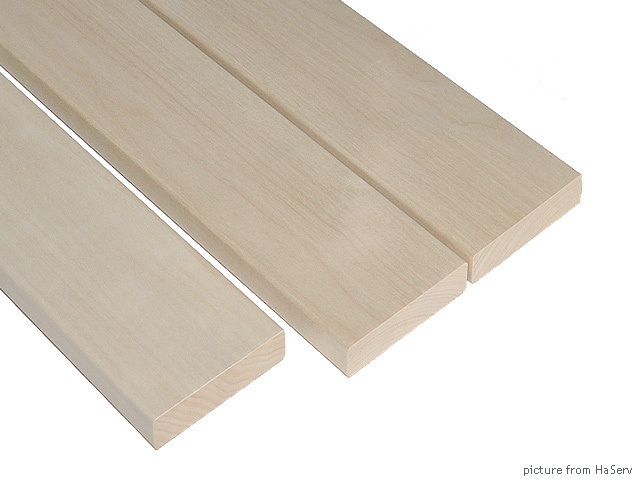 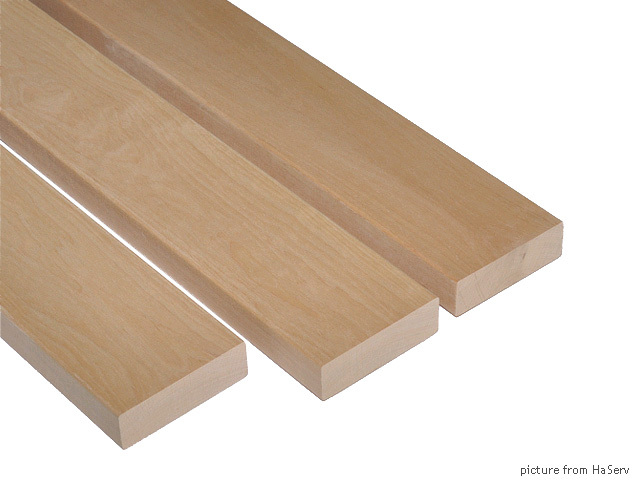 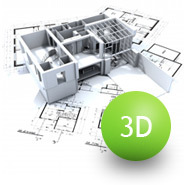 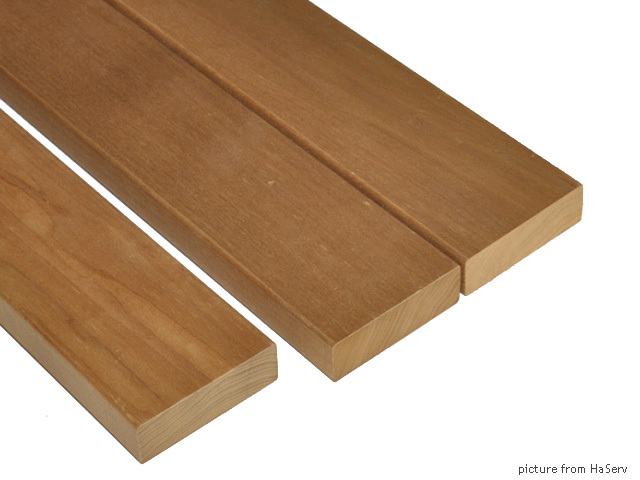 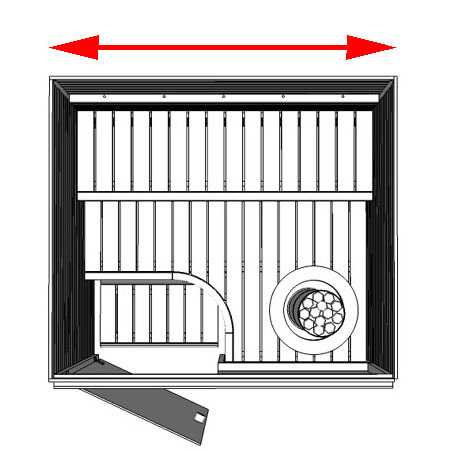 NOTE: The price indicated is for a room size up to (A) 6 ft. (183 cm) deep x (B) 8 ft. (244 cm) wide. 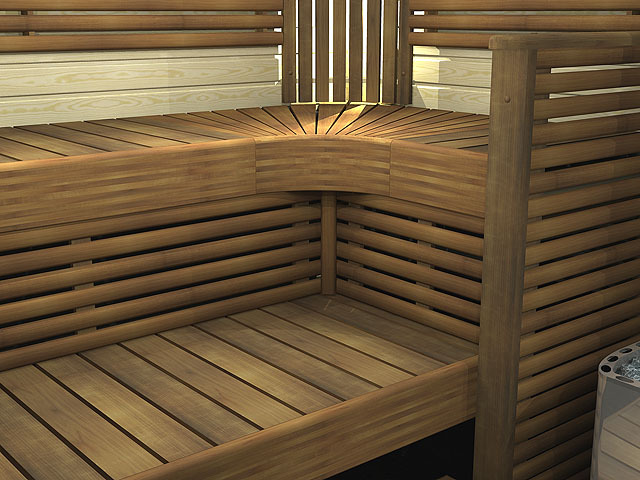 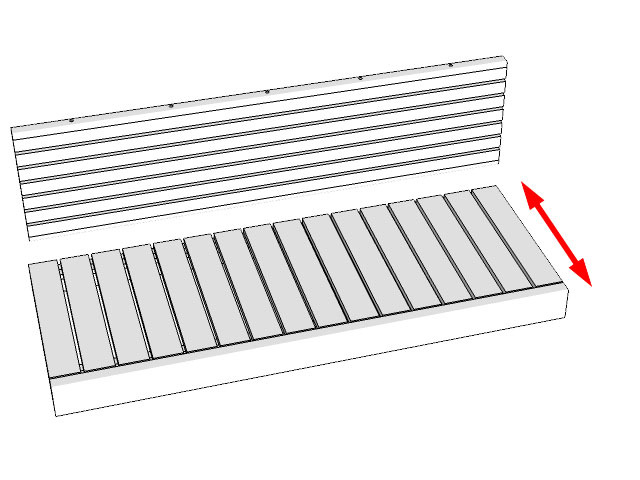 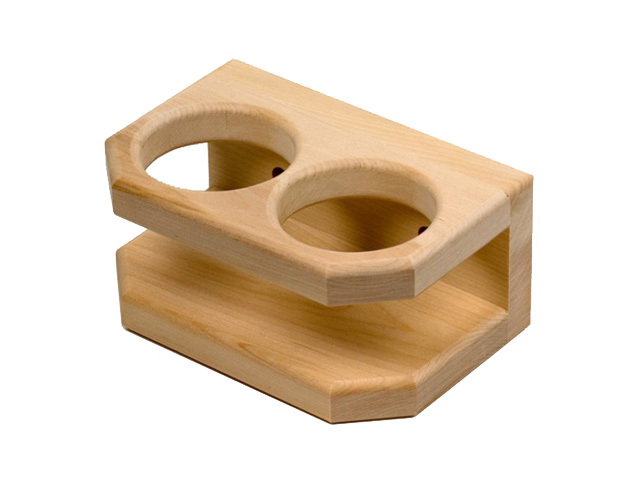 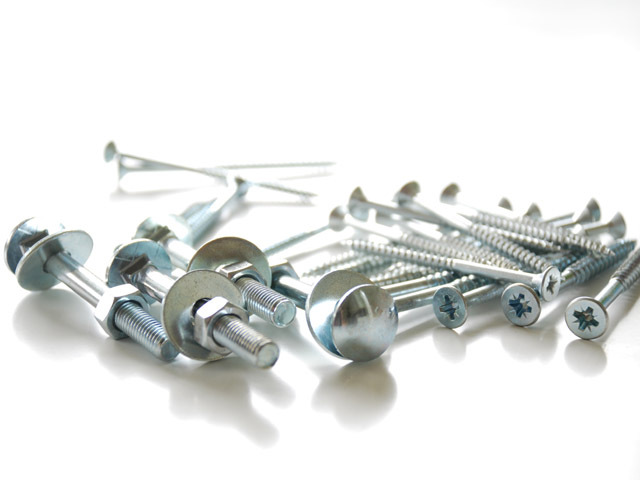 Width B: The two upper bench depths, corners and turning upper bench parts, and the heater width including its safety distances, requires a minimum of 87 in. 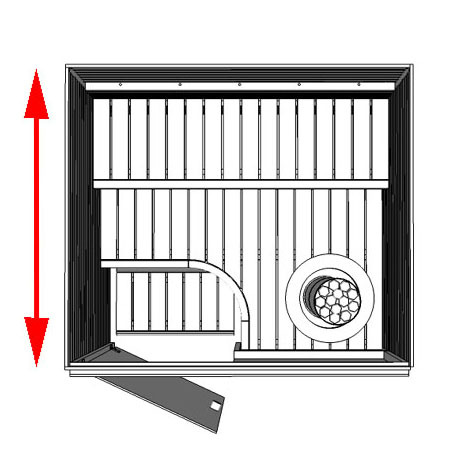 (220 cm).